Next year, 2017, sees a number of significant World War One anniversaries taking place and Rifleman has tours that cover them all. The first anniversary we come to is the 100th anniversary of the Battle of Vimy Ridge which was, in the great scheme of things, part of the Battle of Arras. This battle took place on Easter Monday, 9th April 1917. It was primarily part of a joint offensive with the French and turned out to be one of the most lethal of any fought by the British Army throughout the Great War. Survivors of the battle claim it was the most savage of any infantry battle ever fought. Lasting a relatively short period of 39 days, the daily average casualty rate exceeded both that of the Somme and Passchendaele. 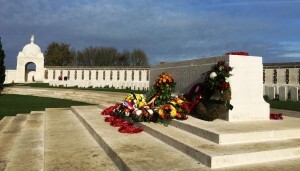 Rifleman has a tour which covers this brutal battle, Vimy Ridge and Arras 100th Anniversary Tour which leaves the UK on 7th April and returns on the 10th. We will cover the battle and take part in one of the remembrance services. The second anniversary is the battle of Messines. 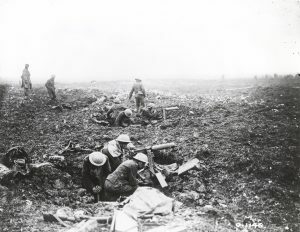 This battle was the precursor to the battle of Passchendaele and was conducted by the British Second Army commended by General Sir Herbert Plumer. The objective of the attack at Messines was to capture the German held ridge, which ran from Ploegsteert (Plugstreet) Wood in the south, through Messines and Wytschaete to Mt. Sorrel. This would deprive the Germans of the high ground south of Ypres and straighten the curvature of the Ypres Salient. 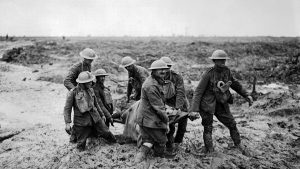 It would also lay the first stepping stone for a further operation in which the British intended to attack and advance to Passchendaele Ridge and from there capture the Belgian coast up to the Dutch frontier. To do the attack a series of mines were laid under German strong points along the ridge and at 3:10 on the morning of 7th June 1917 they were detonated. Almost 10,000 Germans were killed instantly and the British Army swept forward capturing the ridge. This was by far the most successful operation of the war. 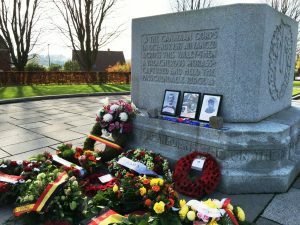 Again Rifleman has an anniversary tour to mark this battle – Battle of Messines 100th Anniversary Tour. Staying in the centre of Ypres, we will tour the Messines ridge visiting the many mine craters and looking at the ground over which the Allies attacked the ridge. Finally we come to the Battle of Passchendaele (Third Ypres). Next to the Somme, this is probably the most well known of the entire Western front Battles. Douglas Haig had long wanted to launch an attack in the north east corner of the Salient and he is finally given the chance in the summer of 1917. However, he waited too long after his early success at Messines and then things begin to conspire against him, particularly the weather. 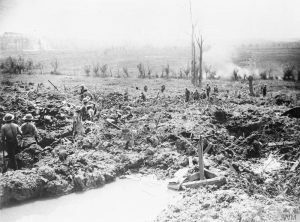 When Plumer takes command, a series of bite and hold battles take place until eventually the allies reach Passchendaele. 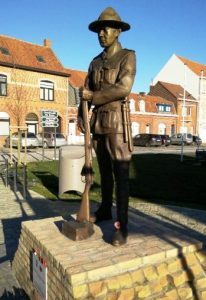 The final attacks on the town were carried out by the Canadian Corps who complete the capture of the town on 11th November. There will be major commemorations in the town of Ypres over the period of this 100th anniversary and Rifleman will be there. Staying in the centre of Ypres, our Battle of Passchendaele 100th Anniversary Tour will cover the battlefields and look at the many memorials placed here to the brave men who gave their lives in a truly horrific battle. We will be holding our own remembrance service at one of the many cemeteries and joining one of the organised ceremonies that will be taking place over this period. 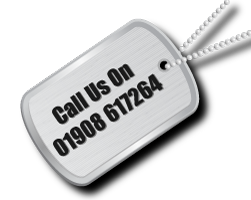 So if you would like to come with us and remember the fallen please visit our website and look at the anniversary tours available.